This free crochet shawl pattern is one that I designed for the Winter 2014 issue of Love of Crochet. For that issue, the editor asked me to design a striped shawl that was on trend and could also be made in knitting. Mission Accepted! This pattern has gotten a lot of attention from both Ravelry members and Facebook Friends. Many of you have asked me when it would be available for purchase. Well, good news is that it is available now and it is FREE! Let me tell you about the yarn I used for both shawls. 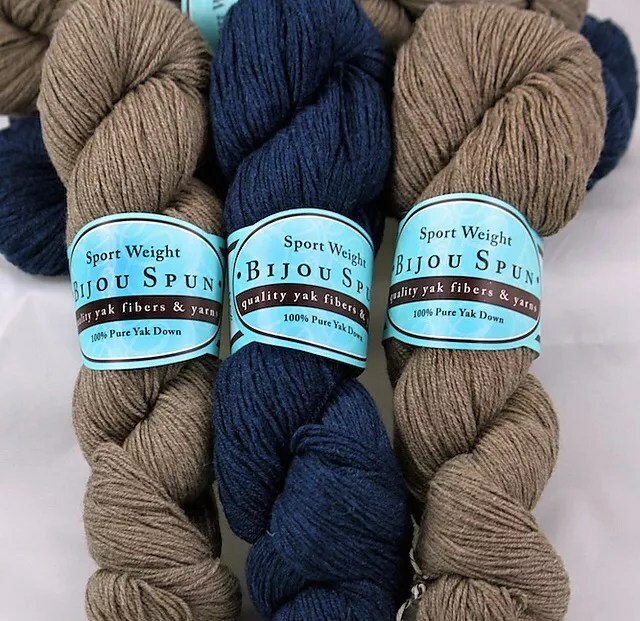 I got to use one of my favorite yarns by Bijou Basin Ranch named Sport. It is 100% yak! The colors are rich and look lovely coupled together. No matter if you use the same two colors I used or mix and match from the other available colors. You can’t go wrong; and you only need one hank of each color! This shawl is super fun, super simple and super addictive! It begins at the center top and increases are worked in a manner that will give you a half circle shawl with the edges longer than the body. The finished sample used nearly two full skeins of yarn but should you have more than just 2 skeins you can easily make this shawl even larger. The color pattern for this shawl is made by changing yarn color every 2 rows. It is not necessary to cut the yarn each time you change. Simply leave the old color hanging at the edge, and carry it up when it’s time to use it again. in each of next 2 ch, 2 sc in last ch—6 sts. each st to last st, 2 sc in last st – 8 sts. With WS facing, join B in right edge st of row 1.
in left edge st of row 1 – 12 sts. each st to last st, 2 sc in last st – 24 sts. sts; rep from * to last st, 2 sc in last st—26 sc, 10 ch-2 sps. 6 sts in last section, 5 divider sts (marked). of 4 center sections, 9 sts in last section, 5 divider sts (marked). each of 4 center sections, 15 sts in last section, 5 divider sts (marked). sts (marked), color B is last color used. in each of 4 center sections, 36 sts in last section, 5 divider sts (marked). of 4 center sections, 54 sts in last section, 5 divider sts (marked). of 4 center sections, 60 sts in last section, 5 divider sts (marked). Holding both colors together, work 2 rows evenly in sc from tip to tip. Using B only, work 1 row in crab st.
Weave in all ends. Wash and block piece to measurements. Don’t forget, there is a knitting version also! I just bought yarn at stitches west today and wanted to start this project but had a question on two parts. First is tbl a treble crochet? And when you say 2sc in edge stitch does that mean in the chain 1 or where is that? Usually, tbl means “through the back loop” of the stitch you are working into. I haven’t made this pattern so I can’t say what the edge stitch refers to. how do you print just the pattern?